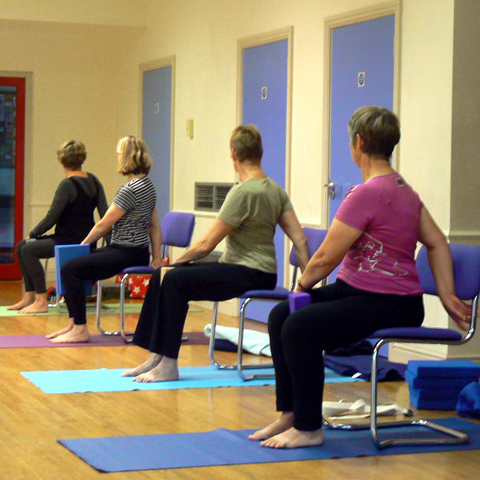 Fiona was first introduced to Iyengar yoga 32 years ago, when experiencing post-natal depression. Her enlightened GP gave her the options of antidepressants or yoga. She chose the latter and has never looked back! Realising the benefits of regular Iyengar yoga practice on mind and body, and the importance of attending classes, she decide to train to teach it, gaining her Introductory level teaching certificate in Bristol in 1990. 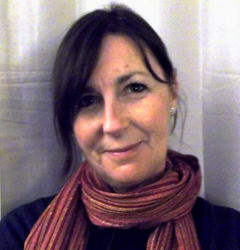 Fiona is now an Intermediate Level 2 teacher and has trained with the Iyengars in India and with senior teachers in the UK. She attends a weekly class for teachers taught by senior teacher, Judi Sweeting, at the Cotswold Iyengar Yoga Centre in Cirencester, to continue her professional development. She also takes part in the annual Professional Development Days to work further on specific areas of Iyengar yoga teaching. In 2007 she gave up ‘the day job’ as a teacher of students with learning difficulties in further education, to focus on her yoga. Fiona teaches seven mixed ability classes in five different venues around Herefordshire, two of those being in the city. Classes take place on Mondays in Fownhope Village Hall from 9.30am–11am, The Haven Breast Cancer Centre in Hereford from 11.45am–12.45am and on Wednesdays at Bodenham Village Hall from 6pm–7.30pm. Fiona runs two classes at Hampton Bishop Village Hall on Thursdays from 9.30am–11am and 7.30pm–9pm, and one classes at Hampton Park United Reformed Church in Hereford on Tuesdays from 6.15pm–7.45pm. Fiona also holds monthly workshops in the beautiful, fully equipped Black Mountain Yoga Barn at Clodock, for existing students who wish to further their practise. This is followed by a delicious but healthy lunch!